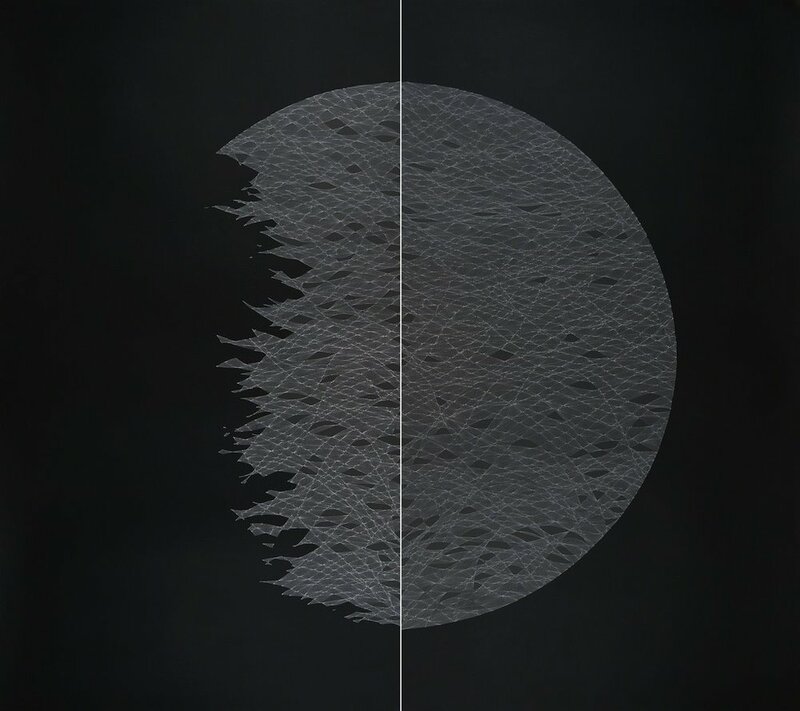 Waqas Khan’s repetitive mark making uses fine lines and dots to create much larger designs, in which can be seen organic forms and textures of varying scale. Khan’s work is more than just art, though. Inspired by Sufism, a mystical tradition of Islam, for him it is also a spiritual endeavour and meditative process. Making such fine marks takes great focus and breath control in order not to jolt the pen. He is intent on the moment, being present in the here and now, aiding a deeper sense of connection to himself, to others and the world around him. These are all Sufi concepts that Western society has adopted in the practice of Mindfulness. The point, or dot, is an important symbol in Sufism. It is complete, self-contained and perfect in and of itself. It represents the Primordial Point, the first mark laid down by the Pen of the Divine, who wrote the universe into being. It is a signal of intent, an act of creation, the beginning and origin of everything. Every other dimension proceeds from the dot; up, down, left, right. The pen cannot touch the paper to create anything without first making a dot. Beyond the symbolism of the dot itself, are the larger designs Khan creates. As a species we can’t help but look for connections and see patterns in chaos. In Khan’s work one can see inklings of everything from the subatomic to the celestial. His elliptical work, Oracle (2017), uses dots to create circles of varying size. Minute variations in the pressure of the pen and the density of the ink dots create differences in tone, lending greater weight to some areas over others, seemingly at random. 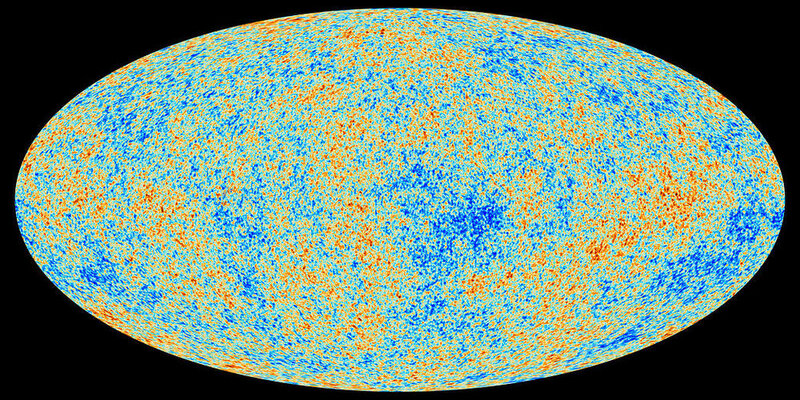 The work’s shape and tonal variations are suggestive of the Planck space observatory image showing cosmic microwave background radiation from the Big Bang, when an infinitesimally small point expanded to create the universe of which we are a part. Tiny changes in temperature in the rapidly expanding plasma created fluctuations in matter density that then formed the galaxies and stars. At the other end of the scale, My Small Dancing Particles (2017) suggests a world you might see under a microscope. 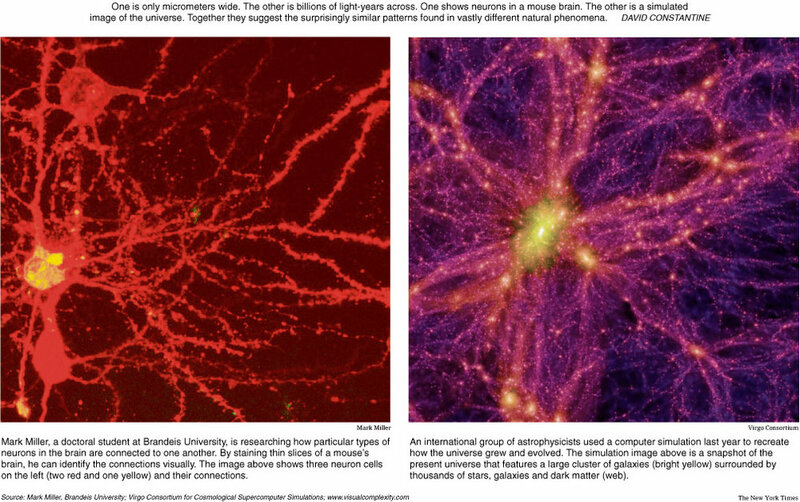 It’s an image reminiscent of patterns and structures found in nature but separated by many orders of magnitude, from the neurons of the brain to vast galactic filaments encompassing millions of light-years. It might also bring to mind the collision of subatomic particles within the Large Hadron Collider (itself a large circle designed to hurl subatomic dots at each other), or evoke the visual map of the internet, representing the sum of human knowledge (and cat pictures). Your mileage may vary. You might only see a partially completed Death Star, or echoes of a Joy Division album cover, which are just as valid. Khan’s piece, In The Name of God II, takes a different tack. Here, Khan uses short vertical strokes or dashes to construct a work that takes on the appearance of a large manuscript or map, complete with tears and holes, reinforcing the idea of an ancient and fragile sacred text. Small variations in the lines created by Khan’s strokes are transmitted down the paper, amplified by each successive row. Calligraphy is a significant art in Sufism, with each letter having a particular mystical meaning. The short vertical pen stroke Khan employs hints at Alif, the first letter of the Arabic alphabet, and the first letter of Allah, the name of God. Alif is the embodiment of the principle ‘as above, so below’ and offers a connection between divinity and humanity. In the Quran, Allah is referred to by many honorifics, collectively known as the ninety-nine names of God. For me, looking at this piece brings to mind a short story by Arthur C. Clarke, The Nine Billion Names of God, about a sect of monks whose task it is to compile all nine billion names of god and what happens when they complete it. But it’s not just the quantum and the cosmic that can be seen in Khan’s work. You may see suggestions of bark, fish scales, wood grain, fur, tree rings, plants cells or the raked sand and pebbles of a Japanese Zen garden. Whatever you see, one thing is certain; with perspectives that shift from the infinitesimal to the infinite, Khan’s work affords us all a glimpse of our place in the universe, our connection to it all, and to each other.